Perhaps you've never seen the reality TV show 'Shark Tank'. I kinda doubt it though, because if you haven't heard of it than you probably didn't click on this post because you thought it was a show about aquatic, cartilaginous sharks. It's not. But I could be wrong. You might be here reading this and have no idea what this show is about. In a nutshell, it's a dramatized televised version of a meeting between aspiring entrepreneurs and a panel of venture capitalists that range from level-headed and nice to ruthless with no souls. This panel hears a pitch from inventors or marketers and decides if they want to invest their own wealth into the idea or product. It's an entertaining version of Business-101. But I would argue it's better than that. It's pretty ludicrous for me to say a show is the "best on television". In fact, some of you are already concocting a rebuttal to my generalized statement and looking forward to publicly humiliating me. Or perhaps you'll just recite your rebuttal to yourself in the car and never tell anyone else what you think--whatever keeps your boat floating (purposefully misspoken). I don't watch much television. I enjoy relaxing on the couch and being entertained as much as the next person, but I can't call myself a TV expert. In fact, I don't have cable; so I'm pretty sure I can't even join a TV critic group. I'm sure many of you have far more expertise in the field of TV. That said, I think this show is the best of the shows I watch. Here's why. #1 You can learn something. Most of us have either heard or said, "You can't believe everything you see on TV." And man, is that true! It's rare that we can glean genuine, factual, beneficial information from a television program; but Shark Tank offers real information. In some ways, you're getting a quick glimpse into the minds of millionaires and billionaires. You're learning how they think, what's important to them, and what the believe in. Are they always right? Of course not. Sometimes their greed blinds them. Sometimes their disbelief holds them back; but you, the viewer, get to observe it without any risk of your own money. If you pay attention when you're watching the show, you'll even learn some terms that pertain to patents, copyrights, valuations, sales trends, margins, perpetuity, royalty, return on investment, market assessments and utilization, and many more. In my opinion, these principles are better taught by this TV show than an Economics or Business textbook because you're assimilating the information in the context of a real business deal. It's the difference between learning a lingual language from a book or from being surrounded by people who speak the language. #2 It helps the economy. Several months ago I quipped that this show has helped the US economy more than the last two US presidents. I'm not making a factual claim there. I'm merely pointing out the fact that the US economy is built on businesses, not political policies and legislation. I'm not against those things, but too often people in our country believe we can legislate prosperity. Although I have my disagreements with the previous two US presidents (including our current one), I'm not even criticizing them in my statement. I'm trying to show that good ideas and hard work are what make economies thrive--not politics. Aside from the investments that are offered to some of the entrepreneurs, the other obvious advantage for them is the publicity the show can generate for them. Many of the inventors walk out of "the Tank" with no investment, but the show keeps track of them; and sometimes they succeed in spite of the lack of investment. The show gave the business a boost all by itself. For that reason, I believe the show is a brilliant invention in itself. It's not a sales pitch, like QVC, where all you hear is the good and all the bad is hidden. It's a real life, open view of a business idea or model. The "Sharks" are pretty funny. As I mentioned in the intro, the whole scenario is dramatized in order to make it entertaining. I realize that. The timing is dramatic, with lots of unnecessary pauses and dramatic statements from Kevin O'Leary like, "You are dead to me." But even with all the shenanigans, the real, unscripted interactions between the money moguls is usually pretty funny. Most of the other shows I watch are crime investigation shows. I tend to enjoy the ones that aren't about delving into the deepest, darkest depths of human depravity. The 10 o'clock news has enough of that for me (which I normally don't watch). It's rare to find a show that's genuinely entertaining to me that I can allow my three-year-old son to sit next to me and watch. He loves it. Some of the business owners that come on the show are nothing short of amazing. Some are not--don't get me wrong. They allow some real morons on the show too--for the same reason American Idol allowed terrible singers into their televised auditions. Train wrecks are funny (metaphorically). But the real-deal, hard-working, smart, creative, passionate business owners are inspirational to me. I love success stories. They are rare, I know; but they are so worth it. I recall many of the entrepreneurs telling stories of how they had to scrape together money to start their business. Instead of whining and wallowing in their tough circumstances, they took initiative, used their hands and brains, and did something. They scrapped and fought and things went well for them. Good for them! Perhaps someday I'll be brave enough to start a business that requires risk. I would love to; but it's not a top priority in my life right now. But if/when it is, you know I'll be applying to get on Shark Tank! 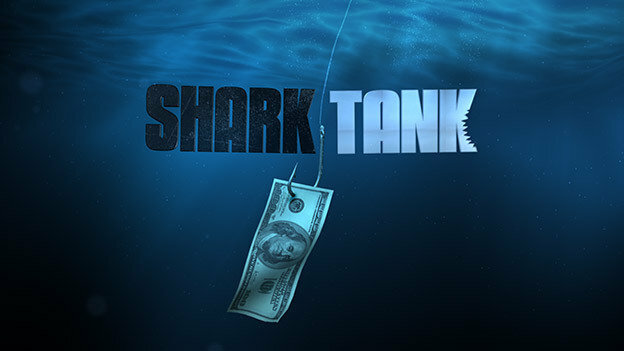 Shark Tank is owned and broadcast by ABC Television Network.